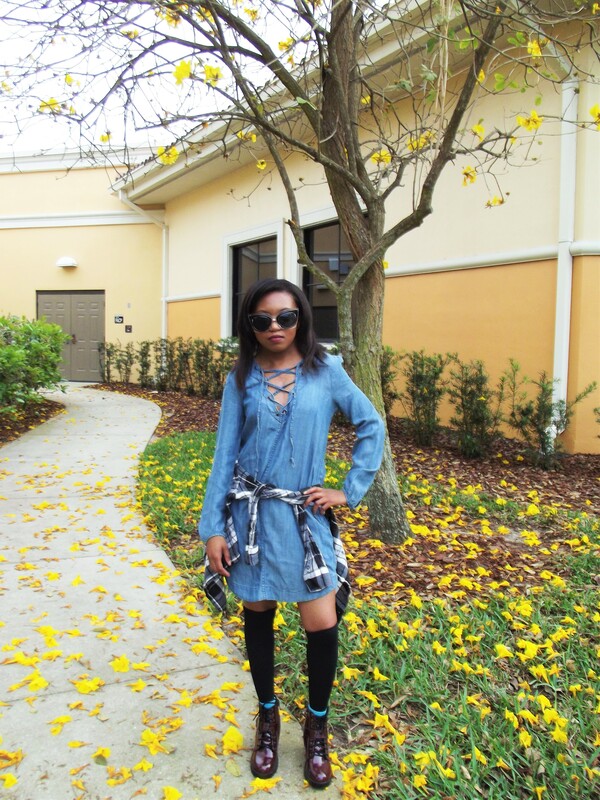 The trend for this Spring is denim and lace up! 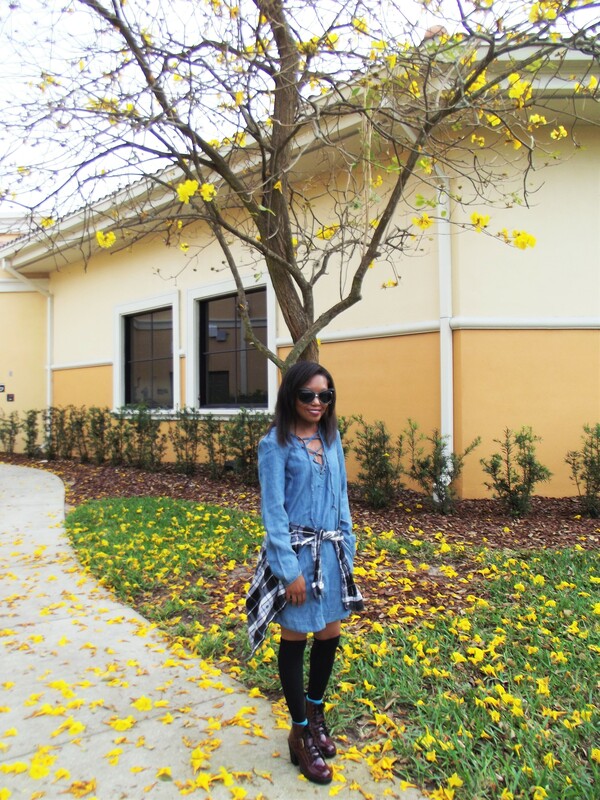 A denim dress is a great piece to have in your closet. You can dress it up with a pair of heels or thigh high boots, or dress it down with a pair of booties, sandals, or sneakers. 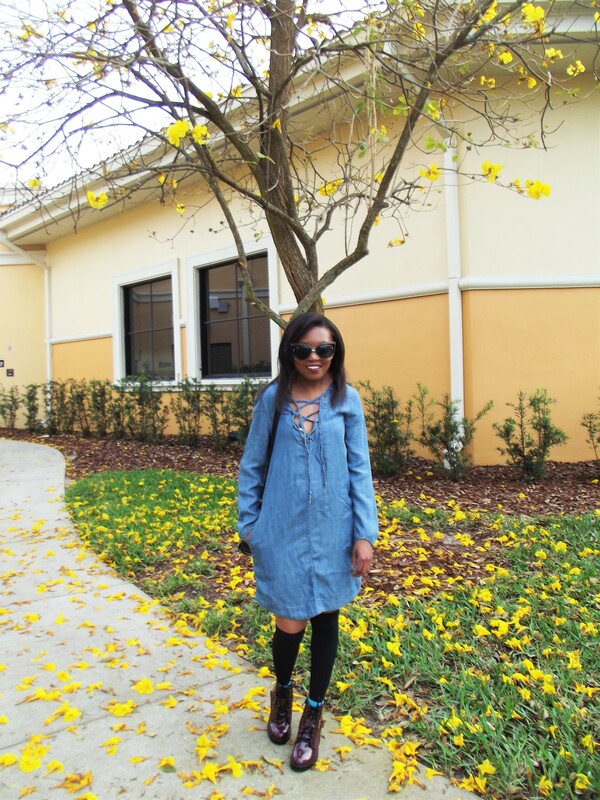 I decided to pair this dress with over the knee socks and my burgundy booties. I tied the plaid top around the wait to give my outfit more edge. If you want to keep the outfit more simple, just let the dress flow. A black floppy fedora hat would also be a cute accessory.